Long before Zippy was Santa's head elf and Nathan was a firefighter, Zippy was Nathan's Shelf Elf. Zippy and His Super Hero is a story about the Christmas that Nathan followed Zippy back to the North Pole. During a conversation with Santa, Nathan finds out that Santa has a brother, Nick, who is living in the South Pole and Santa misses him terribly. Nathan and Zippy devise a plan to go to the South Pole to find Santa's brother. When they get there, they find that Nick misses Santa terribly too and has been trying to get back to the North Pole but there are no reindeer in the South Pole to pull Nick's sled. Nathan and Zippy help to reunite Santa and Nick for their best Christmas ever. The hardest thing about writing a children's' book is finding an illustrator that does the kind of illustrations that you like and at Little did wha price that you can afford. Because the proceeds of our books are going to charity, we were looking for an illustrator that would do the illustrations out of the goodness of their heart. One day we were talking to Nathan's grade 4 teacher, Mrs. Shinkewski about the book. She asked us if she could get her class to try the illustrations for us. Little did we know that she wanted them to do the illustrations to teach them a bit about the process of writing a children's book. That Christmas Nathan gave his mother and I the best present ever. After he did his illustration, he wrote the basic story of Zippy and His Super Hero. When Nathan read it to us that Christmas morning, a tear came to both his mother's and my eyes. 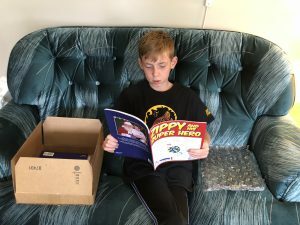 Once Santa and His Super Hero was launched I asked Nathan if we could make his story into our next book. 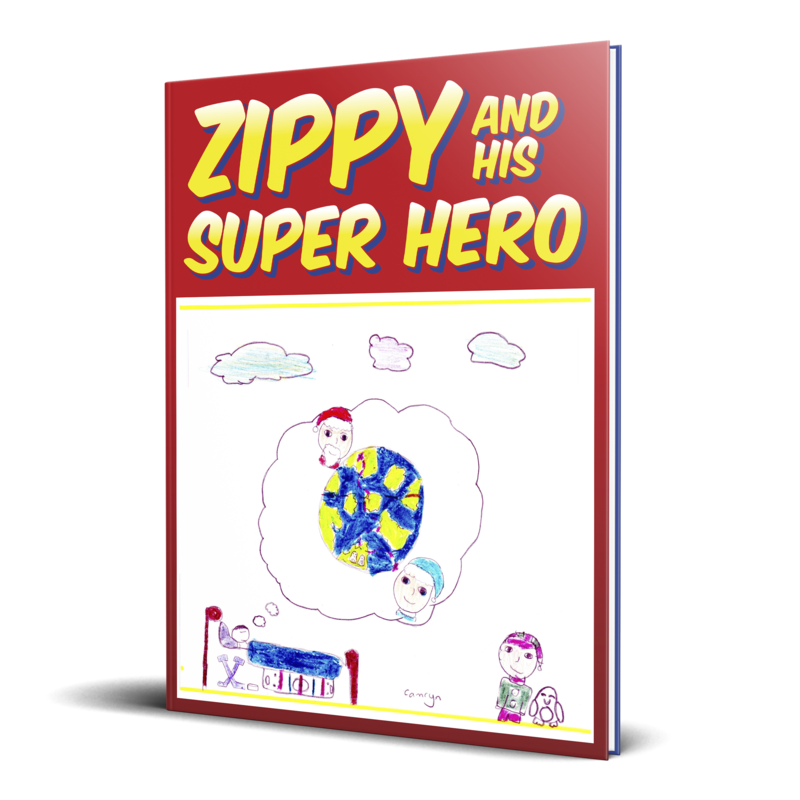 After a couple of months of Nathan and I expanding and editing his story, and changing the name of the story to fit our Super Hero theme, Zippy and His Super Hero was born. 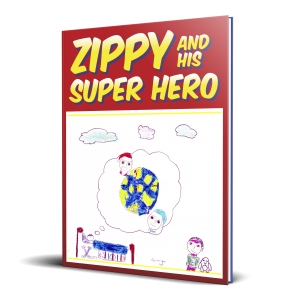 Get Your Copy of Zippy and His Super Hero Today!